At long last, the NFL regular season has finally arrived. While fans have waited patiently for their teams to retake the field, the players have been battling through training camp and preseason, exhibition games. While most players escape unscathed, a few players inevitably incur new injuries, while others deal with old ailments. Although brief, this season’s inaugural Injury Update column features a few notable NFL stars. After undergoing offseason shoulder surgery, Andrew Luck has missed all of training camp and the preseason. With his progress unknown, Luck has officially been ruled out for week 1. General Manager Chris Ballard noted, “We’re continuing to take it week to week,” and there is “still no timetable”. Luck was recent activated off the physically unable to perform (PUP), suggesting he will be ready before week 7. However, expect his absence to linger until he takes the practice field. This absence could stretch well into the regular season. Injured in the third preseason game, Odell Beckham Jr. has yet to practice this week. Beckham is battling an ankle sprain after taking a hit to the lower body early in the exhibition game. Coach, Ben McAdoo said Beckham is “doing everything that they ask him in the training room and if he’s ready to go on Sunday, we’ll play him.” While Beckham does not need to practice to play, expect him to be a true game time decision if he cannot get any practice reps this week. Like fellow rookie Mike Williams, Corey Davis has missed the majority of the Titans’ offseason program due to injury. Hampered by a bum hamstring, Davis is finally expected to make his Titans debut in week 1. While coach Mike Mularkey said, “there won’t be a snap count”, he did imply that Davis will not play a full role in the Titans offense. He noted, “We’ll have him in on specific situations and see where he goes from there.” While Davis will finally see game action, do not expect him to play a full compliment of snaps in his first NFL action. The Titans should ramp up his involvement each week if he can stay on the field. 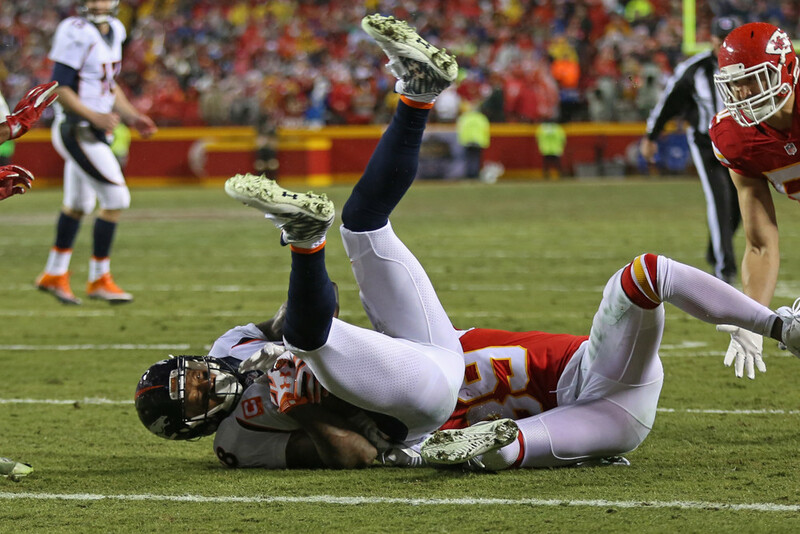 Injuring his groin in the third preseason game, Demaryius Thomas has yet to practice this week. While he missed Monday’s practice, no updates have been given yet on Thomas’s availability for week 1. Coaches said he left the third preseason game as a “precaution”, so early signs point to him suiting up for Monday night’s game against the Chargers. Fracturing his sternum the day he joined the Buffalo Bills, Jordan Matthews has yet to be cleared from his injury. According to Bills’ reporter Chris Brown, coach Doug McDermott mentioned that while Matthews has yet to be cleared, he is working in that direction. This falls in line with the fact that Matthews has yet to be ruled out for week 1. Matthews should not be expected to miss more than one week. However, expect the Bills to ease him back into action once he does return. Since suffering a concussion on August 26th, quarterback Tyrod Taylor has been progressing through concussion protocol. Early in the week Taylor was looking doubtful for week 1 after coach Doug McDermott called his status, “up in the air”. However, Taylor returned to practice on Monday and was cleared to play on Tuesday. Expect him to suit up and play against the Jets. Initially suffering a hamstring in the preseason, Danny Woodhead remains uncertain for the Raven’s season opener. Woodhead returned to practice on Saturday, highly increasing the chances he suits up for this weekend’s game. However, with no updates yet Woodhead should be viewed as questionable. Thomas Rawls has been battling an ankle injury for the second consecutive season. Suffering what was called a “minor” ankle injury, Rawls has yet to practice before week 1. When asked if Rawls would be ready for week 1, Coach Pete Carroll noted, “ I think Thomas is.” He also noted, “We will find out during the week here.” This makes practice time crucial for Rawls this week. While he may end up missing week one, do not expect him to remain on the shelf for long. Injured in the final preseason game, John Ross is battling a knee sprain ahead of week 1. Per Ian Rapoport, Ross is unlikely to play week 1, but the Bengals are hopeful he could “potentially” return week 3. The young receiver has battled a slew of knee injuries throughout his career. Don’t be surprised if the Bengals are careful with their first round draft pick and his absence extends beyond week 3.